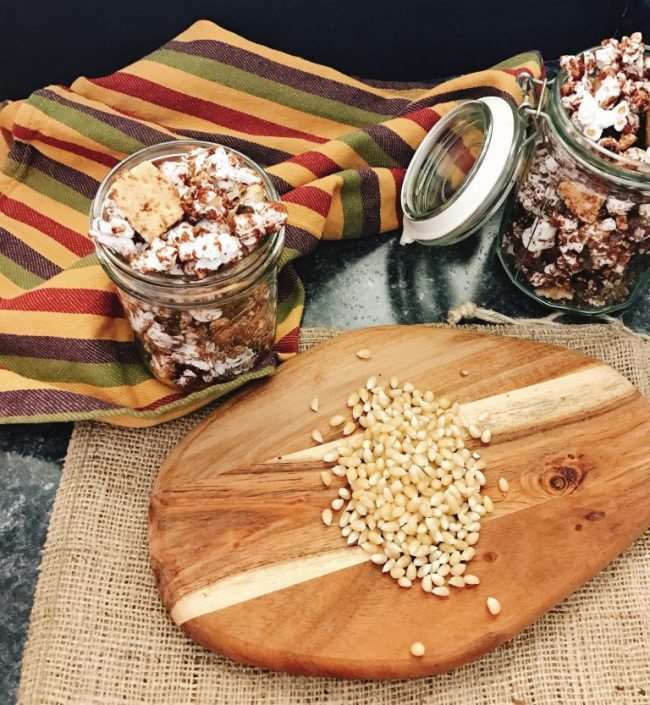 When you want the taste of camp fire S’Mores without the fire, this S’mores Popcorn Snack Mix is sure to satisfy. Popcorn drizzled with chocolate is fantastic on its own. But when you add more chocolate chips, mini marshmallows, and crushed graham crackers you will be rocking your taste buds! 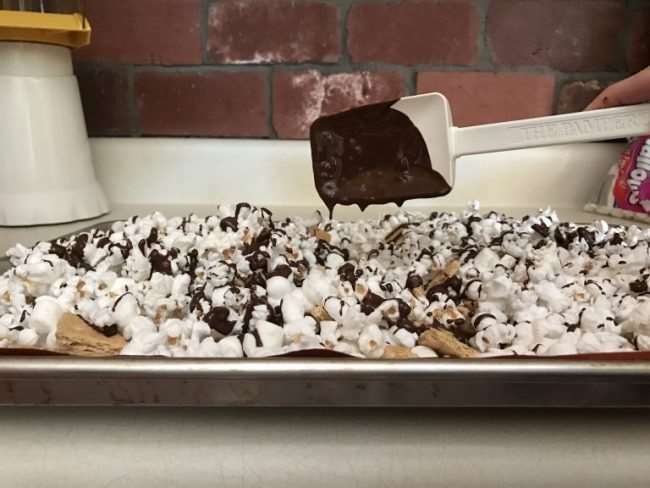 I’m proud to partner with The Popcorn Board to bring you this delicious, chocolatey S’mores Popcorn recipe. 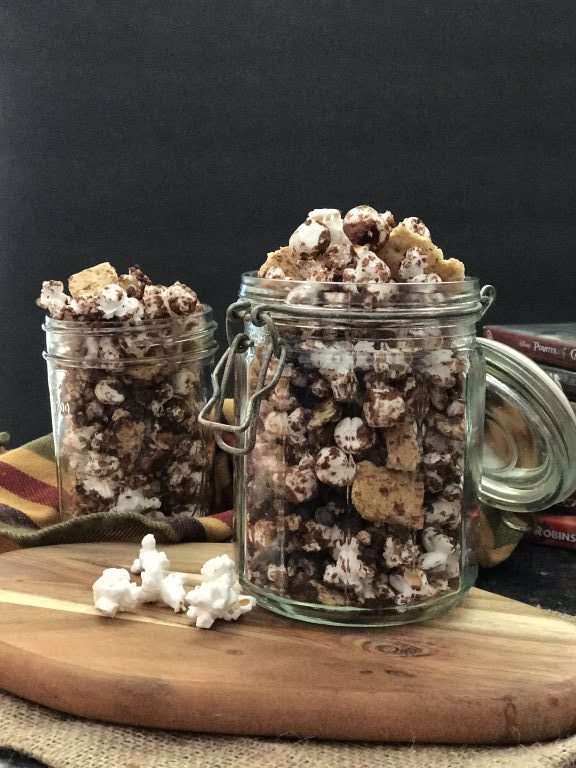 National Popcorn Day is January 19th, so it’s the perfect time to whip up a batch of this S’Mores Popcorn Snack Mix and talk about popcorn. 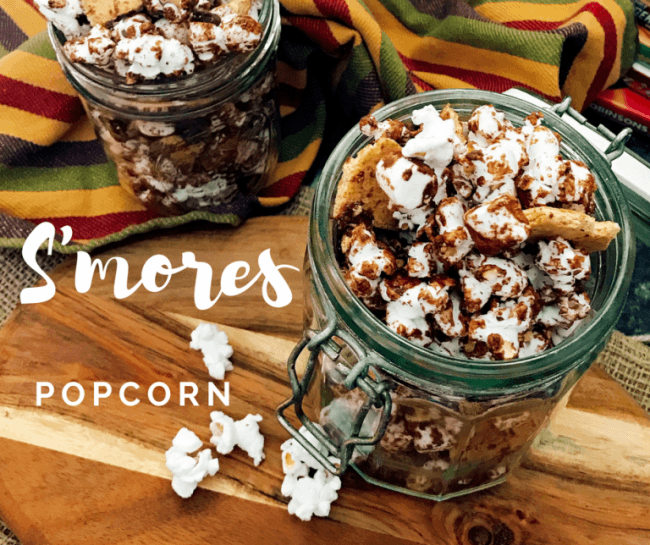 Popcorn is a great year-round snack because it’s delicious on its own or dressed up with toppings like chia cinnamon sugar, BBQ seasoning, or the classic S’mores ingredients of marshmallow, chocolate, and graham cracker in this easy recipe. When we go camping, S’mores is ALWAYS on the menu for dessert at least once a trip. During these colder months, we don’t go camping outdoors but still crave the taste of campfire S’mores. 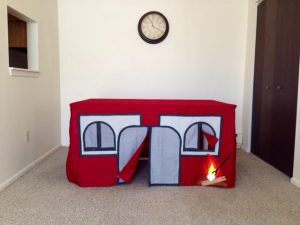 Sometimes the kids will set up an indoor play tent for a living room campout. We’ll light the fireplace, sit around telling stories, and munch on this S’mores popcorn. You can snack happy with popcorn. It is a healthy, whole grain snack food that is low in calories and fat. It’s a good gluten-free carb choice too that contains fiber, no artificial additives or preservatives. 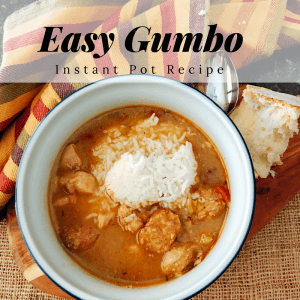 Note: This recipe isn’t gluten free, but can be if you’ll use a gluten free graham crackers substitute or substitute for a gluten-free cereal with a similar flavor. According to the Popcorn Board there has never been, nor is there currently, Genetically Modified Organism (GMO) popcorn or popcorn seed for sale in the U.S.. They are also not aware of any GMO popcorn or popcorn seed available for sale in international markets. Let’s talk about popping popcorn at home before we get to the recipe. I use an air popper because I like the way plain popcorn tastes. I don’t have to use additional oils to pop the corn kernels and it always comes out light and fluffy. Before I got my air popper, I used to do the microwave brown bag method. I did this because I couldn’t (still can’t) make stove top popcorn without burning it. 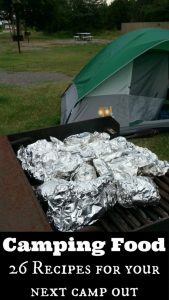 I switched to the air popper when I found out that the brown bag method is not recommended and actually poses a fire danger. 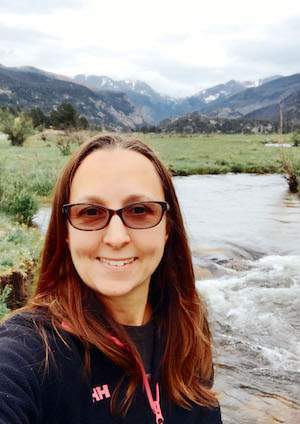 Plain or recycled paper is made with unknown materials that could catch fire, interfere with microwave cooking technology, and lessen the performance and longevity of a microwave oven. If you want to use the microwave to pop popcorn, find a brand you like with a small ingredient list and use that instead. 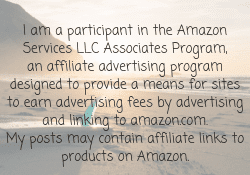 Note: You also be happy to know that all microwave popcorn brands in the U.S. stopped using diacetyl, an artificial butter flavoring, in 2006. You can read more about diacetyl from the CDC. 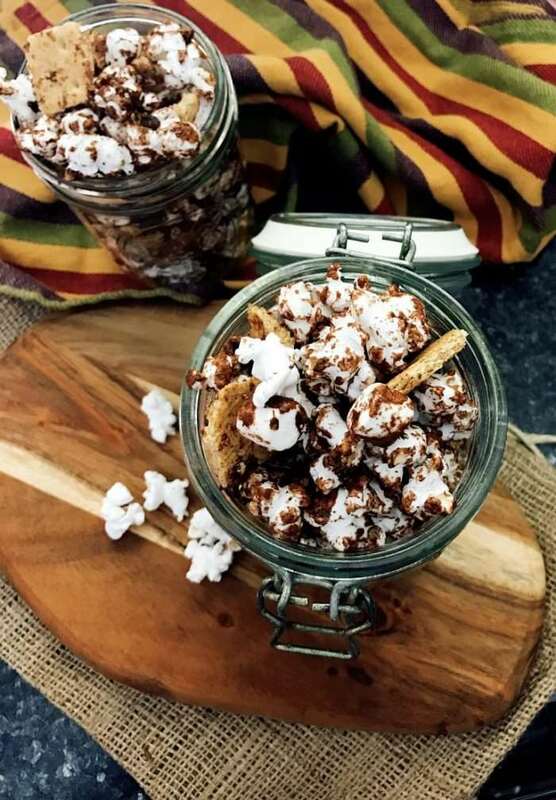 Any way you pop your popcorn, you’ll love creating this S’mores Popcorn to snack on. You can eat it as soon as you make it or can be stored in an air tight container for up to 24 hours. If eating the next day, the popcorn may be a little chewier than freshly made. But honestly, I doubt you’ll have any leftovers an hour after you make this. 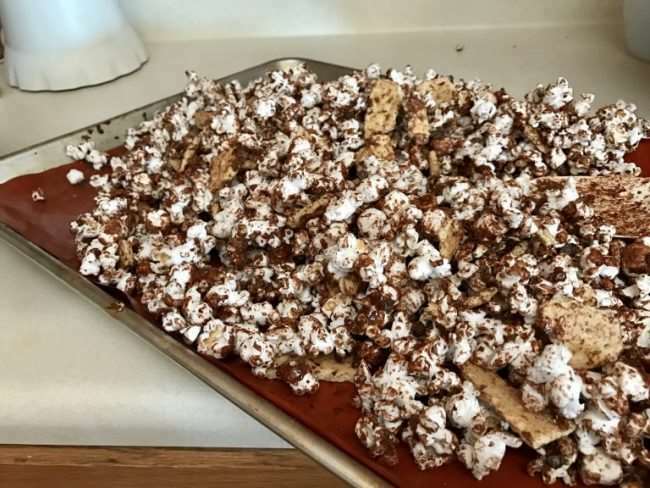 In a large bowl combine popped popcorn, crushed graham crackers, 3/4 cup chocolate chips, and marshmallows. Place popcorn mixture onto a large cookie sheet. In a saucepan, melt coconut oil over medium heat. Add remaining 3/4 cup chocolate chips and stir continuously until melted. Drizzle melted chocolate over the popcorn mixture and toss to combine. Serve or place in an air tight container for up to 24 hours. For more information from the Popcorn Board, visit them on Facebook.